We would love to invite you to play tennis with us. We have opportunities for all levels and for whatever level of competition you want. 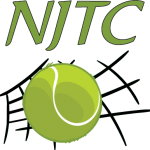 Drop in tennis most summer Saturday nights, winter indoor socials, League tennis opportunities, and the best time you could have at a tennis tournament; NJTC has it all. Check out our calendar, the USTA calendar below or go to our League and Socials page.